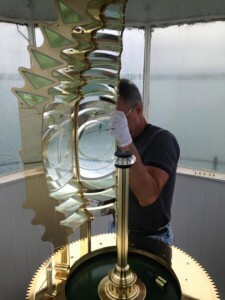 Dan Spinella from Artworks Florida Classic Fresnel Lenses, LLC has shared some photos and a video of the installation of our new replicate Fresnel Lens. Click Here to see the photo album on his Facebook page. Our New Lens is Here! Momentum is building for the birthday celebration. A radio interview with Heather and Shelley on WLEW’s “What do you think?” series. News headlines on Thumbnet.net regarding the installation of the lens. The days schedule is published in the View newspaper. Tour slots are now SOLD OUT. Don’t be left out. Many time slots are sold out. Reserve your tours for the big day here. The cutoff date has been extended. Purchase your tickets here. 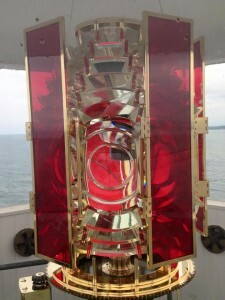 This video showcases the design and manufacturing process of the reproduction Fresnel lens for the Harbor Beach Lighthouse in Michigan. 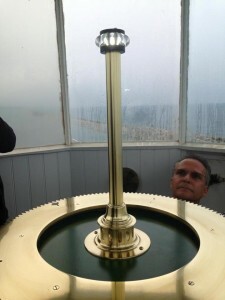 The lens is on it’s way and will be installed and officially turned on July 18th at our 130 Birthday Celebration.